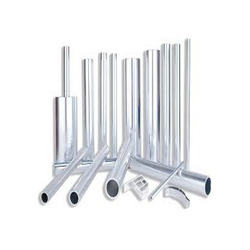 Our product range includes a wide range of aluminum pipe 6082, aluminum round tubes, aluminum square tube 6063, aluminum tube sqr, aluminum rectangular tube and aluminium fittings. 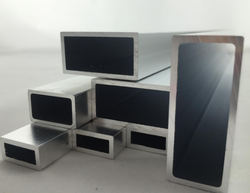 We supplies a vast range of Aluminum Pipe 6082 which includes aluminium round tube, aluminium square tube, aluminium rectangular tube, aluminium flat bar, aluminium channel, aluminium tee section, aluminium cope, aluminium gutter section, aluminium wallboard sections, aluminium round bar, alumnium square bar, anodised aluminium, aluminium sheet, aluminium five bat treadplate, aluminium plate and aluminium easyfix tubes. You can apply aluminium tubing to borders around the garden beds. The material is also light enough to be used for creating fence for tomatoes, vine, and other climbing plants. The length of aluminium pipe can be connected as well as angled by binding cut tennis balls at the end. This keeps the structure solid, but lasts for the season. The CB radio and Ham radio fans use aluminium piping to form the structure to carry antennas from different residential roofs. The extended antennas improve the signal received by the device, and the pipes also help to endure the winds generated in various parts of the country. The interior furnishing industry also utilizes aluminium pipes. Items such as canopy beds and bedside tables are usually made from wrought iron. The aluminium tubes are a lightweight alternative which adds a contemporary look to the room. There are many fasteners presented for threaded lengths of tubing. Aluminium tubing is manufactured through an extrusion process that is highly cost effective. Given the fact that there are no limitations for creating a die for anodized aluminium tube, the extrusion process leaves it up to the creativity to designers to make structures as per the project specifications. Aluminium tubes are used extensively in diverse industries such as the food processing, aerospace, medical equipment, mining, computer, and automotive industries. The metal pipes are also used in the carrying fluids and gases in various pneumatic and hydraulic applications. 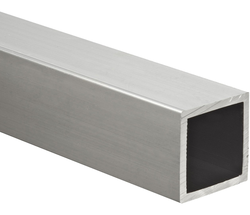 Aluminum Pipe is a extruded product that is widely used for all types of fabrication projects where lightweight and corrosion resistance is a primary concern. Aluminum Pipe is available in both 6061-T6 and 6063-T6, with the 6063 being more bendable and has a brighter finish than the 6061. Applications: frame work, support columns, gates, fencing, handrails, protective barriers, etc. We are offering to our clients a wide range of Aluminium Tube Round/Aluminum Tube Round that is manufactured using a high grade of aluminum. 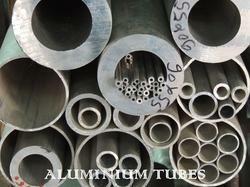 Aluminium Tube- ROUND Aluminum Round Tubes are available in alloys 6061, 6063 and 2024. Aluminum 6061 is the most widely used alloy, offering better corrosion resistance and weldability than other Aluminum Round Tube, but less strength. Alloy 6063 offers high corrosion resistance and is commonly used for outdoor structural applications such as Aluminum Tube railings and trims. 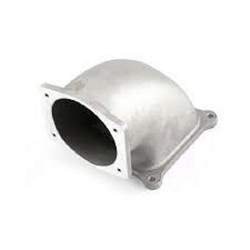 Aluminum Round Tube 2024 is high-strength and commonly used in aerospace applications. What's the difference between pipe and tube? 6061 Aluminum Round Tube, is a hollow extruded product that is widely used for all types of fabrication projects where lightweight and corrosion resistance is a primary concern. The interior is smooth with no seam and is available in an extruded structural or a drawn seamless aluminum round tube for higher precision applications. Standard mill tolerances apply. Call us for additional sizes or the 6063 grade. Applications: framework, support columns, gates, fencing, handrails, etc. Workability: Easy to Weld, Cut, and Machine. Not recommended for bending or forming as cracking may result. Size 1", 2", 1.5", 3", 4"
We are a leading Aluminium Fittings stockist, Aluminium Fittings exporter and Aluminium Fittings supplier. Our materials are manufactured in state of art facility providing best quality and timely delivery to our clients.We are well known for our quality and fast delivery. We are the first choice for fast delivery and premium quality materials.Aluminium fittings are made from a high grade aluminium silicon magnesium alloy. Strong, yet light and extremely durable, these fittings are suitable for harsh environments. Aluminium fittings are only one third the weight of a galvanised steel fitting but retain 75% of the comparable tensile strength. 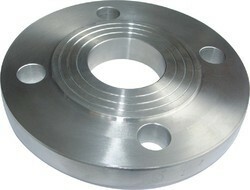 Union: threaded, weld, hex, round Reducer: rec, ecc. Type E: inside diameter in accordance with DIN 8063, consistent with PVC-pipes with flange sleeveBlank flanges: are available in all nominal widths parallel to all types of flanges.Note: Flanges in accordance with DIN 2641 PN 6 on request! Looking for “Aluminium Pipe and Tubes”?